Happy Tuesday. I'm finally back with another post. I'm catching up on some of the products I've been testing over the last few months including some fabulous new Mink Lashes from Esquido. If you love falsies like I do, and especially if you love natural looking lashes, you've got to check out my review and pics! 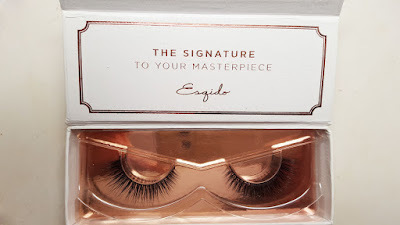 I've definitely heard of ESQIDO mink eyelashes in the blogosphere. Many of my fav gurus have been rocking them and I've also had a chance to play with them at some makeup shows. They came out with anew lash style called Unforgettable. First off, the packaging is so chic and sophisticated. The white and roll gold details really make this feel like a high end lash line. I'd describe this lash as natural yet with definition to still make your eyes pop. They feel so amazingly light and comfortable on. I usually tend to prefer a stiffer, more dramatic lash because I find that they show better on my monolids. Per the website, you can wear these lashes up to 25 times which I think is pretty accurate. However, this style really surprised me. The length of the longer piece really defined my eyes and the mix of shorter lashes made it still feel natural at the same time. There is also a nice cat eye effect to this look. 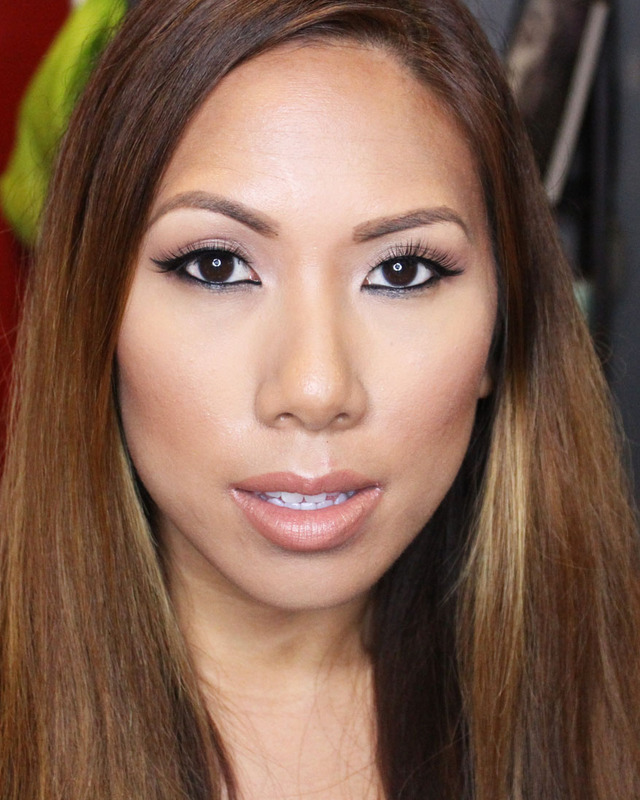 As you can see by makeup makeup look, I just rocked this look with liner so you can really see the lash effect which makes the eyes pop on its own. 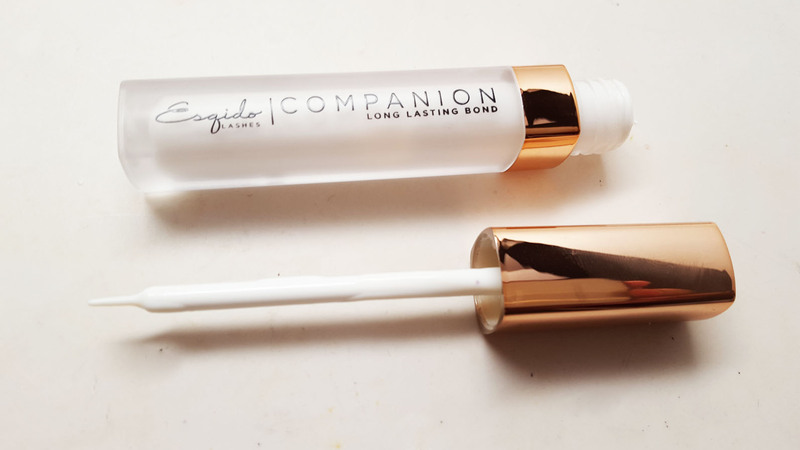 Esqido also came out with a new latex-free lash glue. I'm all about trying out new lash glues. Again, the packaging is gorgeous. And I love the wand applicator which is definitely my preference for a neat application. 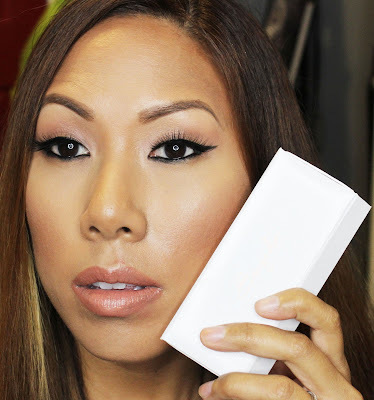 I apply a thin strip of glue to the lash band as well as over my eyeliner to get extra adhesion. The ESQIDO eyelash glue definitely sticks but is also gentle and easy to remove at the same time. This would be a good glue for those of you with sensitive eyes. It's pretty easy to pull off your lashes at the end of the night without any major tugging or discomfort.